Compared to football and basketball players, baseball players rarely express political opinions. It's not tough to figure out why. On Tuesday, ESPN’s Jayson Stark published a thoroughly reported feature about baseball players’ relative silence on social and political issues. The piece points out that baseball players have not been as outspoken about, say, Donald Trump’s immigration policy as basketball and football players and wonders why that is. Despite quotes from several players worrying about the backlash they’d face from politically charged public statements, Stark’s article largely avoids the obvious example of why MLBers stay mum: Dexter Fowler. This highly innocent comment, combined with some misleading headlines, unleashed a torrent of angry commenters, who told Fowler that he should stick to baseball, that he wasn’t welcome in St. Louis and that he was property of the Cardinals and should therefore shut up. The angry comments vent viral, empowering more angry comments and forcing Fowler to clarify his own humanity. For the record. I know this is going to sound absolutely crazy, but athletes are humans, and not properties of the team they work for. Now here we are, less than two weeks wondering why baseball players might be a little hesitant to speak out about issues they believe in? While liberal activism in baseball is fairly rare, we’ve seen numerous baseball players express conservative political opinions. Jonathan Papelbon has accused Barack Obama of trying “to take away our guns.” Luke Scott shared his thoughts on everything from illegal immigration to abortion to the Affordable Care Act. Jake Arrieta suggested “Hollywood” leave the country following Trump’s election. The examples go on. Those players likely faced some online backlash as well, but it’s unlikely that, given the conservative culture of baseball, the response was so brutal or personal. Besides, those players were able to retreat to their clubhouses, which are usually safe spaces for conservatives. We see the same effect in the other direction in basketball and football, where left-leaning, anti-Trump players might face vitriol from angry Facebook commenters but at least have the cover of their teammates and (often) coaches. When LeBron James speaks out about police brutality, he knows much of his league is behind him. Same, to some extent, for Papelbon and guns. When Fowler or Sean Doolittle objects to Trump’s travel ban, he has to worry about the reaction of his coaches and teammates, in addition to many of his fans. The fact that, anecdotally at least, a majority of MLB players are conservative also emboldens fans to lash out against the outliers. Some fans on Facebook suggested Fowler go back to his former team and leave St. Louis alone. It’s hard to imagine many similar sentiments from fans of other sports. If you banished any black basketball or football player who expressed, even gently, sympathy for victims of police shootings or citizens of Muslim countries, you wouldn’t have a very good team. This is what Adam Jones meant last summer when he said baseball was “a white man’s sport.” Conservative white people represent the majority in baseball, and anyone who defies that majority must brace for backlash. (It’s worth noting that conservatives in the NBA probably face a similar quandary, at least in some senses.) People of color in America inevitably worry about bucking the white majority for fear of alienating the people they work with or work for, and that’s presumably no different in America’s pastime. In that way, Major League Baseball clubhouses are just like many workplaces: It’s easiest, especially if you’re a person of color, to just keep your mouth shut. Archer, a highly thoughtful player, likely has plenty of opinions about social and political issues. But when he stands in front of a microphone, he knows better than to share them. And it’s hard to blame him. The point here isn’t to fault Major League Baseball for silencing its liberal players—in fact, commissioner Rob Manfred is quoted in Stark’s piece encouraging players to speak out. 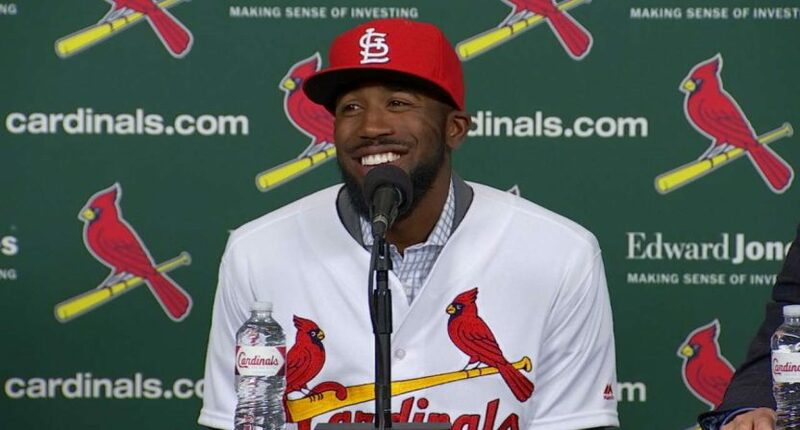 But when we wonder why baseball players don’t opine more on current events, we should keep in mind what happened when Dexter Fowler tried to.